Overseas remittance of profits has become one of the most interested issues for foreign investors in Vietnam. To create a safe investment environment for foreign investors, Vietnam’s laws guarantee them the right to legally transfer profits abroad after completely discharging their financial obligations to the State of Vietnam as stipulated by laws. According to a provision of Vietnam’s laws, foreign investors need not pay tax on overseas remittance of profits. This provision aims to prevent double taxation due to the fact that only profits after tax are eligible to be remitted abroad, which means foreign investors are required to pay income tax before transferring profits overseas from Vietnam. In this case, the responsibility to pay such income tax does not belong to the foreign investors themselves, but to the enterprise in which they participate by investment. Profits qualified for remittance abroad are the net profits gained from direct investment activity. Foreign investors may remit eligible income overseas either anually or on termination of the corresponding investment activities in Vietnam. 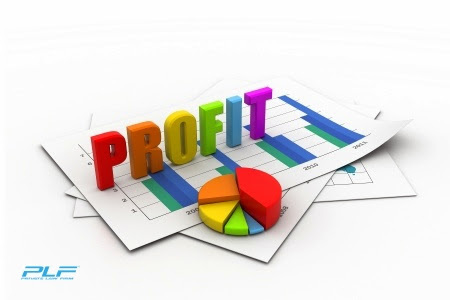 Such profits are determined on audited financial statements and corporate income tax (CIT) finalization declaration, which are lodged by the enterprise (in which the foreign investors contribute capital) to the taxing authority directly managing it. Profits eligible for annual overseas remittance are the profits distributed to/obtained by foreign investors from direct investment activity in a fiscal year, plus (+) other amounts such as profits which have not yet been remitted from previous years, minus (-) the amounts foreign investors have used or committ to use for reinvestment in Vietnam and other amounts spent on expenses for production and business activities or on their personal needs in Vietnam. On the other hand, profits qualified for remittance abroad on termination of direct investment activity in Vietnam are the total profits earned by foreign investors during the implementation of such activity, minus (-) the profit amounts used for reinvestment, the profit amounts remitted overseas throughout the operation duration of foreign investors in Vietnam, and the amounts used for their other expenditures in Vietnam. Additionally, it is noteworthy that only when the enterprise, in which foreign nationals participate by investment, has completely deducted the accumulated losses in accordance with CIT laws and regulations do the foreign investors have the permission to remit overseas the profit portion earned from direct investment activity of a profit-making year. Suppose that the enterprise earns pre-tax income in a fiscal year. In case where such income is less than the transferred losses from the previous year, foreign investors are not permitted to remit profits abroad.